While school bus injury accidents in Maryland seem to show up in the news, the data certainly does not suggest that these accidents are common. Maryland averages roughly 550 fatal car accidents per year, and upwards of 35,000 injury car crashes per year. According to the NHSTA there are only about 24 fatal accidents involving school buses per year in the entire country, and half of the fatalities are pedestrians. These relatively low numbers have led organizations such as the National Association for Pupil Transportation to state that school buses are actually the safest form of transportation in America. The NAPT suggests that school bus accidents appear in the news precisely because there are so few each year. While this may be a logical conclusion, school bus accidents are a reality in Maryland that the legislature should consider. 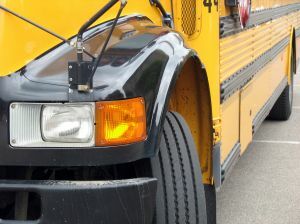 It is impossible to eradicate school bus accidents altogether, but the Maryland Legislature could enact laws that would attempt to mitigate the potential damages that a bus accident could cause. Enacting laws requiring the installation of seat belts aboard Maryland school buses could be the easiest way for the legislature to influence school bus safety. On the other hand there is no way to guarantee that a school bus seat belt law would actually make busses safer. One inherent problem is enforcement; there can be upwards of 50 students riding a school bus at any given time, and the driver simply cannot be burdened with the responsibility of enforcing seat belt laws while he or she is driving. Another argument against a seat belt law is that school buses already employ significant measures to prevent injury accidents. School buses in Maryland must meet upwards of 35 federal safety standards including roofs designed to absorb a rollover accident, protective fuel tanks, and heavily padded seats. A school bus seat belt law will likely find its way onto the floor of the Maryland legislature, but for now we will have to rely on the driver and the construction of the bus to keep our children safe. The Herbst Firm is a Baltimore Injury Lawyer specializing in car and truck injury accidents. If you or someone you know has been involved in a car accident involving personal injury contact The Herbst Firm at 410-207-2598 for a free consultation. 3 School Buses Involved In Crash In Md. After St. Lucie County crash, are your kids safe on the school bus?